Your home for dental care. Your guide to a healthy smile. Your leader in oral hygiene education. At South Court Dental Medicine, you will find state-of-the-art dentistry in the comfort of a family practice. Drs. 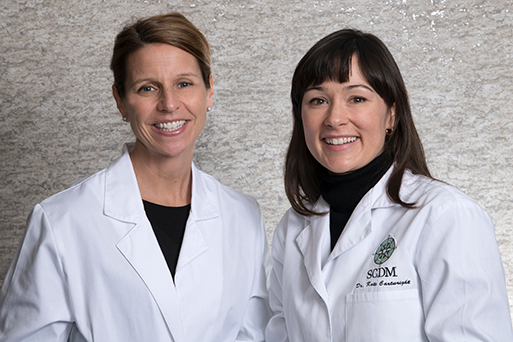 Kate Cartwright and Karry Rogus provide gentle, high-quality care to patients of all ages. Offering a wide variety of general dental services, our experienced staff has the ability to meet the needs of your entire family. Ready to get started at South Court Dental? Fill out our new patient forms here. Explore all of our services, including preventative, restorative, and cosmetic dentistry. Find expert dental advice from Dr. Cartwright's regular blog. 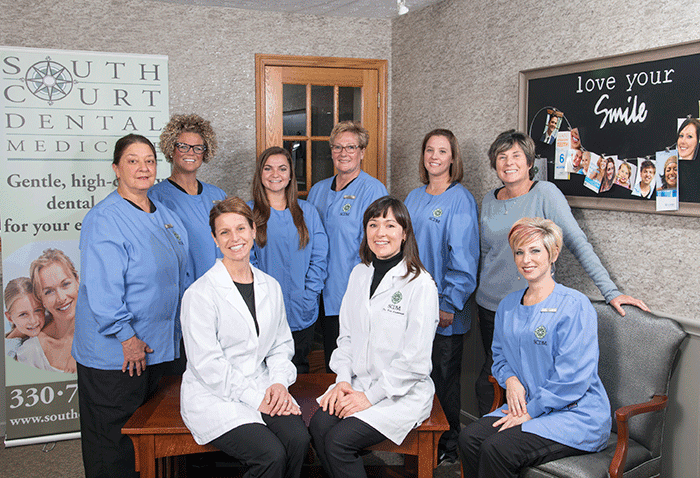 Our experienced team is committed to providing the personalized care you deserve. From our dedicated hygienists, dentists and assistants to our knowledgeable administrative staff, you will experience superior care in all levels of our practice. Our love of dentistry and our patients is evident in everything we do. Let our experts in oral health make your family’s dental experience a great one. Looking to straighten your front teeth? Adult orthodontics is one of our most popular cosmetic dental treatments. Offering both Six Month Smiles and Invisalign systems, Dr. Cartwright provides tooth-straightening options that fit the smile goals of our adult patients.